Cerebral palsy is a lifelong condition. Although symptoms and the type and severity of the disabilities associated with it are different for each individual, it is a condition that usually requires medical treatment, therapy, surgery, and a lot of doctor’s appointments, as well as the use of assisstive devices and technologies. Sometimes there is no known cause of cerebral palsy. But too often, the cause is one or more physician mistakes and medical negligence. If your baby developed cerebral palsy due to medical negligence, you have the right to file a cerebral palsy lawsuit against the responsible party. Do I Have a Valid Lawsuit? Not performing an emergency C-section in time. Failure to order a C-section at all. Not adequately monitoring and notice fetal distress. Failure to treat jaundice, which can trigger kernicterus, a type of brain damage. Excessive force used with birth-assisting tools, like forceps. Failure to diagnose and treat infections in the mother or to monitor her health during pregnancy. Not delivering an infant in a timely manner, resulting in oxygen loss from being in the birth canal too long. Surgical errors during a C-section. If you feel your baby would not have cerebral palsy if it weren’t for for medical errors, contact an experienced and reputable lawyer specializing in medical malpractice. An attorney who has worked with families of children with cerebral palsy can help you find the information needed to prove your case. Filing a lawsuit may not be the first thing that comes to mind after receiving a diagnosis of cerebral palsy for your child. The idea of going up against a doctor or a hospital can be intimidating. But, experienced malpractice lawyers have done this before and are dedicated to helping those who have been victimized. The have the resources and skills to help your family. With the right lawyer, it won’t cost you anything unless and until you win your cerebral palsy lawsuit. Most cerebral palsy attorneys will file the lawsuit on your behalf and work with you on a contingency basis. This type of payment plan means that you will only pay a percentage of the compensation if you win the lawsuit. Typical contingency fees for a lawyer in a medical malpractice case are between 15 to 40 percent of the damages you recover. Always talk about fees before hiring a legal team. This will help you avoid surprises later and make the best choice for your family. You should only work with an attorney who offers contingency. Those that require payment up front don’t have the resources available to represent you effectively. Contingency also means you don’t have to find the money now when you’re trying to pay for treatment for your child. Most lawsuits end in a settlement, which takes place outside the courtroom. But keep in mind that not all cases can be settled. The defense may refuse to admit wrongdoing or to settle for an amount your lawyer feels is fair. You may also decide not to settle for the amount offered, in which case you can go to trial. If you do need to go to trial for your cerebral palsy lawsuit, remember that your attorney will be there with you, guiding you every step of the way. It may be intimidating, but a trial will not only help you recover the damages you’re entitled to, but it will also expose the responsible party, as trials are in the public record. Once you file your lawsuit, your lawyer will start investigating. You’ll need to help by providing all of your and your baby’s medical records. This includes prenatal care, your baby’s medical care during pregnancy, and the childbirth records. With all of the information gathered, your lawyer can begin the case. Once your case is filed, the defendants in the case will receive a copy, known as the complaint. They will have a certain amount of time to respond, usually 30 days. The discovery phase begins once the defendant responds to the complaint. This is a stage in which both sides’ legal teams begin to prepare documents to prove their side of the lawsuit. Your lawyer will gather more evidence, conduct depositions, and take any other steps to prove your case. The defendant’s team will build a case in defense of your charges of malpractice. Both sides can exchange information during this period. The next stage of the lawsuit after the discovery stage is to try to negotiate a settlement. This is when your lawyer will lay out the evidence against the defendant in order to negotiate a settlement amount on your behalf. Your attorney will try to persuade the defendant to settle now instead of going through a lengthy trial. 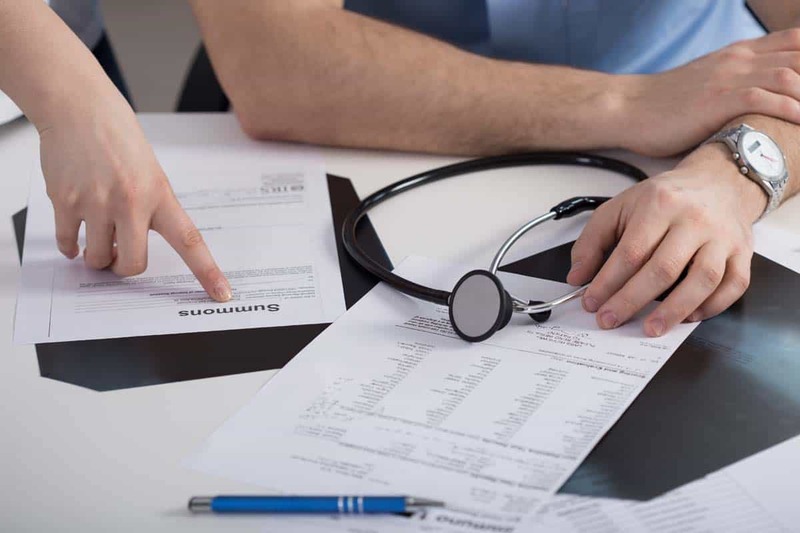 Most defendants agree to settle out of court in a medical malpractice case, even if they are unwilling to admit negligence. It’s usually less expensive for them because juries tend to award larger amounts. A settlement occurs during the negotiations stage, but should either party fail to come to an agreement, the case will then go to trial. If your cerebral palsy lawsuit goes to trial, your attorney will present the evidence to a jury and the defendants will present their side of the case. The jury decides which side wins and the amount of any monetary award. If a medical professional’s actions or inactions caused your baby harm, you should file your case as soon as possible. Each state has a statute of limitations that sets a time period after which you can no longer file. With cerebral palsy lawsuits you generally have around two years from the time of the injury to file the lawsuit, but the laws vary by state. Since many children with cerebral palsy aren’t diagnosed until several years later, you may have extra time to file your case. Your attorney will be able to explain the laws in your state. Because your child needs therapy and treatment, which can be costly, it’s a good idea to get started on a case as soon as possible.